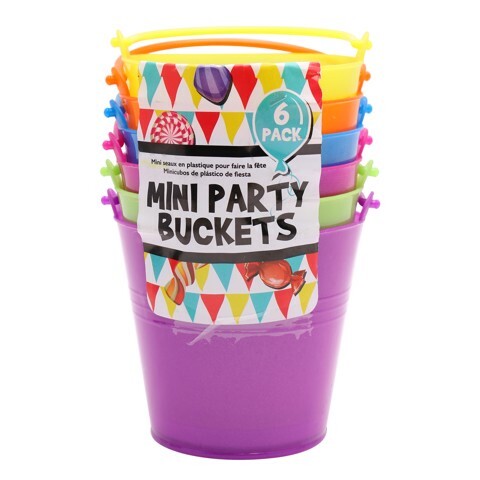 Party Mini Buckets Plastic 6Pc. Top diameter 7.8cm | Bottom diameter 5.8cm | Height 7.4cm. Yellow | Orange | Blue | Fuschia |Green | Purple. Plastic. 99G Packaging: Colour Wrap Label.